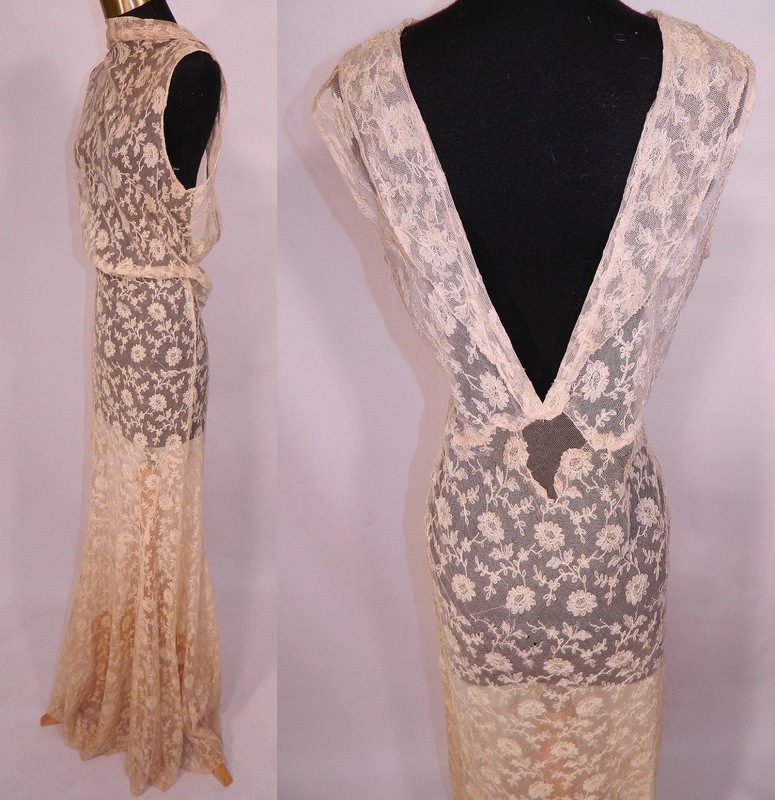 This vintage cream tambour embroidery net lace bias cut backless gown dress dates from the 1930s. 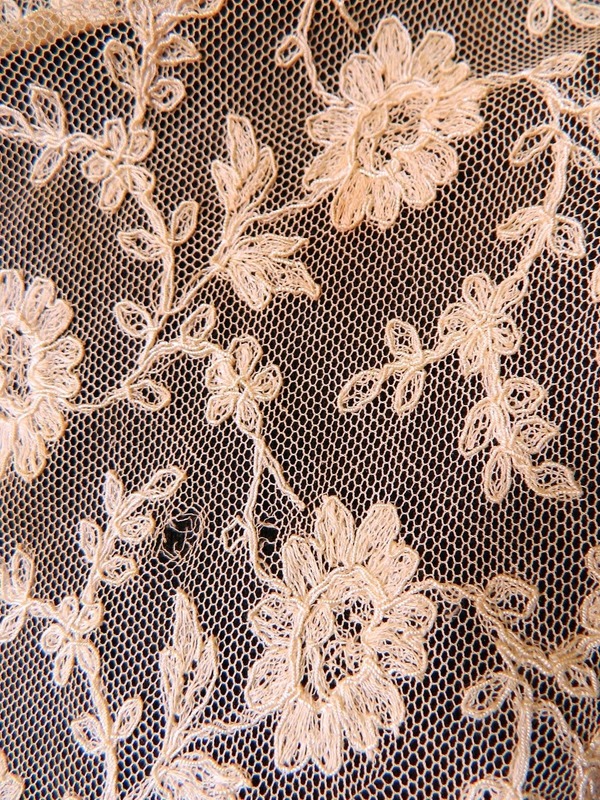 It is made of an off white cream color sheer net, with tambour chain stitch embroidery work lace done in a floral vine leaf pattern design. 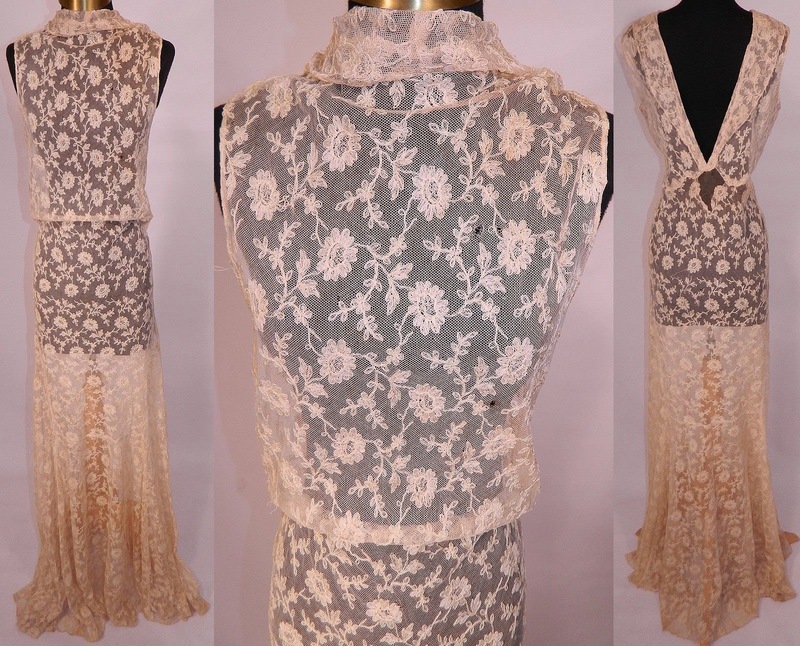 This lovely lace long floor length bias cut dress has a cowl drape front neckline, plunging V back, sleeveless, long full skirt and is sheer, unlined. The dress measures 64 inches long, with 34 inch hips, a 28 inch waist and 34 inch bust. It is in good condition, but has not been cleaned, with some faint yellowing discoloration stains, a few tiny holes in the net fabric and some a patched net repair on the lower back (see close-ups). 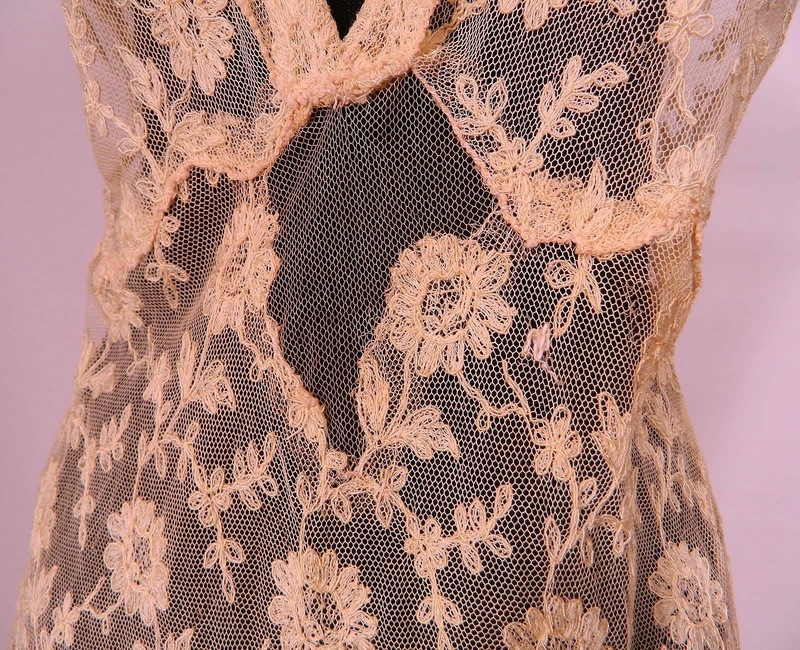 This is truly an exceptional piece of wearable antique lace textile art! I can easily see one of the early starlets going down the red carpet in this number with a light green slip beneath it. Fabulous!